Download and install Resene Rainbow screen savers for PC and for Mac. Click on a screen saver to download it as a .zip file. Click on a screen saver to download it as a .zip file. Choose a file suitable for your operating system. 1. Unzip the installer executable file if it’s compressed. 2. 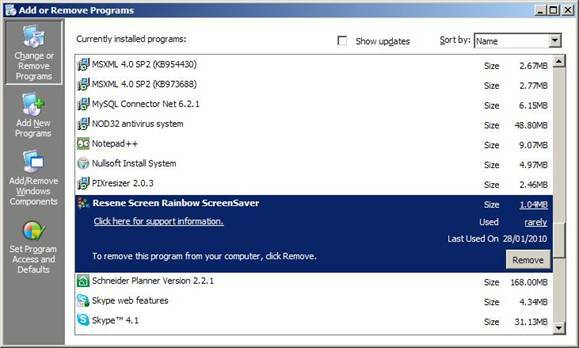 Double click the installer executable file ScnRainbowSetup.exe. 5. Click “Install” button to install the screen saver. 6. 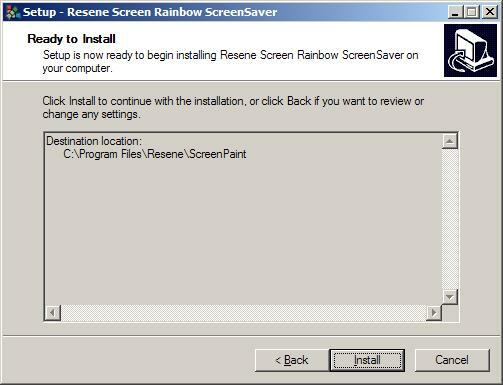 Installer will install the screen savers into user machine and open the screen saver setup window with the screensaver highlighted. Click “OK” button to activate the screen saver. 7. Click “Finish” button to finish the installation. 2. 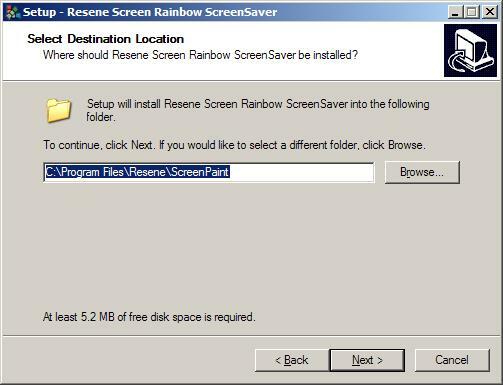 Locate “Resene Screen Rainbow ScreenSaver” program in the installed programs list. Click “Remove” button. 3. Click “Yes” button to confirm. 4. 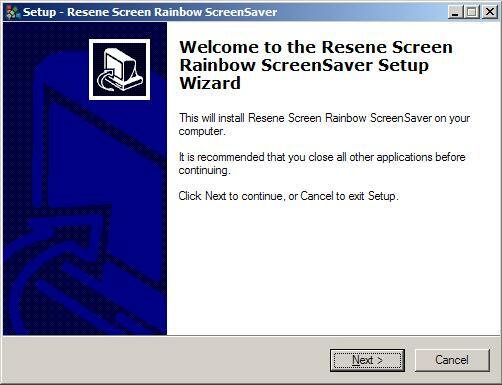 Uninstaller will uninstall the Resene Screen Rainbow screen savers from your machine. 1. 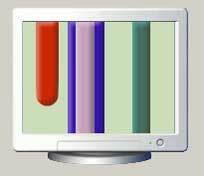 Extract the screen saver DMG file from the download zip file. 2. Double-click the .DMG file to open it up. 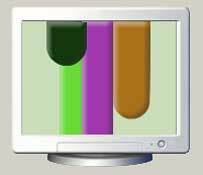 Another new icon with a name similar to the .DMG file will appear on your desktop. 3. If a new Finder window doesn’t automatically appear, double click on the new icon that has appeared on your desktop. 4. 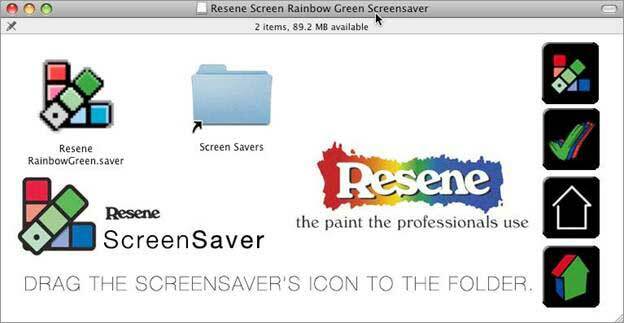 Locate the Resene Rainbow Green/Black screensaver’s icon within this new Finder window, drag and drop it into the “Screen Savers” folder. You may be prompted for an admin password to add it. 5. From the Apple menu, choose System Preferences. 6. 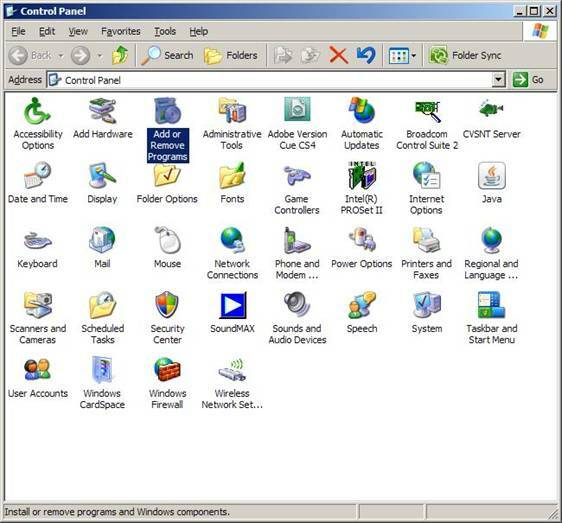 Click the Desktop & Screen Saver button to display its preferences. 7. 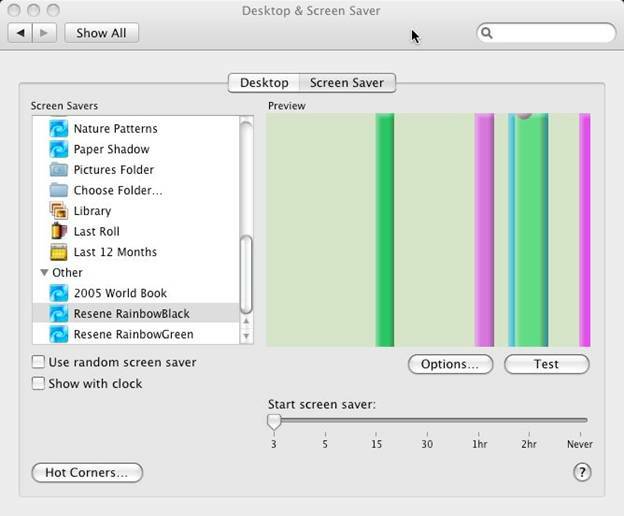 Click the Screen Saver tab to display just the Screen Saver preferences. All installed screen savers appear in the left pane. The right pane displays a preview of the selected screen saver. 8. 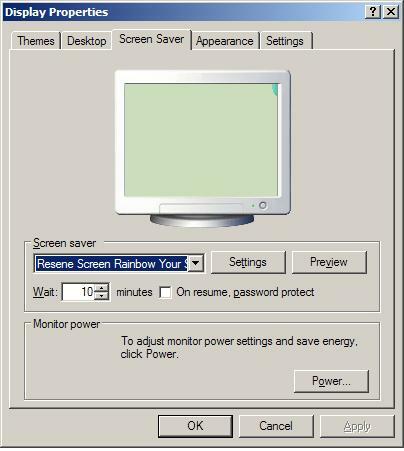 Click Resene Rainbow Screen Saver items in the left pane to select it for use. 9. 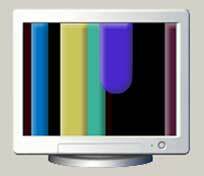 If you wish to see what the screen saver will look like in use, click Test.